Your deposit on a home is probably the biggest payment you’ll ever make and the biggest chunk of your savings you’ll ever hand over. So, it’s natural to want to understand precisely when and how you should pay that fearsomely expensive deposit. The timing of when you need to cough up the cash for your home deposit depends on the type of sale you are entering into. In a private sale or a private treaty, the buyer needs to pay a deposit to the seller or the seller’s real estate agent, after both the buyer and the seller have signed the property’s contract of sale. The property’s sale contract clearly identifies the property’s sale price together with specifying the date the deposit must be paid by and the settlement date. This exchange can take time to organise, so buyers are often afforded several days grace to arrange the payment. For property purchased at an auction, the contract must be signed immediately after the fall of the hammer, so the deposit should be paid on the same day. Prior to most auctions commencing, it is standard practice for the agent or their representative to inform prospective buyers what the required upfront deposit is, as one of the standard terms of the contract of sale. This deposit is usually set at a minimum of 5 to 10 per cent of the successful bid. Remember, while the seller may be happy with a deposit of 5 to 10 per cent, your lender may insist you take out mortgage insurance for placing a deposit that is under the 20 per cent threshold of the property valuation or sale price, whichever happens, to be lower. Moreover, a house deposit does not include other costs involved in purchasing a property such as conveyancing costs, stamp duty, inspection costs and mortgage registration fees. Ensure you have set aside sufficient funds to cover those additional expenses. A holding deposit signifies the buyer’s serious intent to buy the property. It is a portion of the full deposit a buyer pays as part of their purchase offer. However, the seller is still free to consider other offers in the interim. These deposits are typically 0.25% of the offered price, although this can vary by state. Unlike the full deposit you pay after the sale contract is signed, a holding deposit does not guarantee the property will be yours. Holding deposits can be fully refunded if the seller opts to accept another offer. It’s important to obtain written confirmation of this from the seller’s agent. Other costs incurred such as conveyancing fees, valuation fees and inspection costs are not refundable. While a holding deposit can differentiate you from other prospective buyers, there is always a danger the real estate agent will use your holding deposit as a bargaining chip to secure a higher offer from another buyer. Deposit Bond: A deposit bond is an instrument issued by an insurer, which guarantees the seller that the deposit will be paid on the settlement date. If the buyer is unable to pay the deposit on the settlement date, the insurer will cover the seller for the full value of the payment. Some sellers may not accept deposit bonds, as they may require a deposit to facilitate the purchase of their next property. 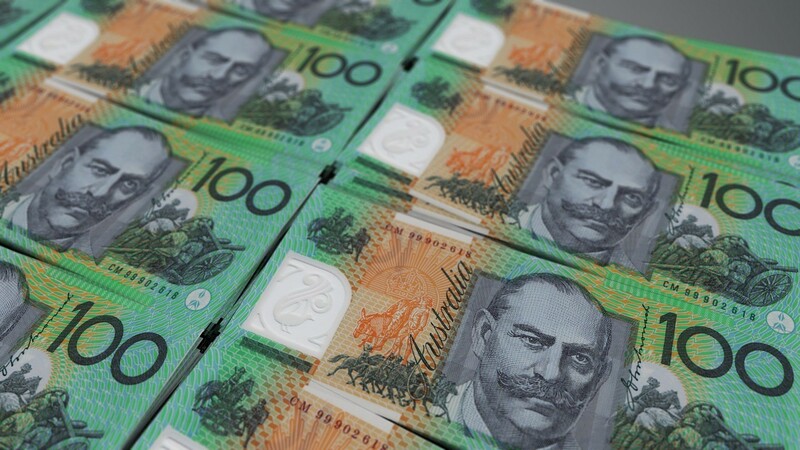 Agents are unlikely to accept a housing deposit in physical cash. This is due to the risk of handling large amounts of cash and the inconvenience involved. It’s worth checking with the agent about which payment method is preferred. In a private sale, you can arrange for your conveyancer or lawyer to detail in the contract the conditions under which the deposit is refundable during a mandatory cooling-off period. This clause allows you to get most of your deposit back if you decide to not to proceed with the purchase. Depending on your state or territory, there may have a financial penalty deducted from your deposit if you cancel the contract during the cooling-off period. This penalty is often equal to a holding deposit for example in NSW or QLD that is such as 0.25 per cent of the purchase price. After the contract is signed and the deposit has been paid, the money is typically held by the agent in a trust account until the property’s settlement day. Upon settlement ownership of the property officially passes from the seller to the buyer. Contracts are legally binding and enforceable after they’re signed, although a cooling-off period for the buyer may apply for private property sales. During a cooling-off period, a buyer is allowed to cancel the contract and have their deposit refunded. No cooling-off period usually applies for buying at auction. If the property’s state or territory has a cooling-off period, this is triggered upon both parties signing the sale contract. After your cooling-off period has expired, the property sale contract becomes unconditional. Cancelling an unconditional contract can have severe financial ramifications, so talk to a lawyer before you consider pulling out of the purchase at this point in the process. You should consider taking out home insurance on the property immediately after the contract date. In some states and territories, the risk of property damage passes from the seller to the buyer effective upon the contract date, not the settlement date. Some home finance lenders insist home insurance is taken out on the property as soon as the contract is signed. On settlement day, which can be over a month after the contracts were first signed, the buyer’s conveyancer or solicitor meets with the seller’s conveyancer or solicitor and a representative from the bank to exchange contracts and finalise the transfer of the remaining sale funds. After that, the buyer will be notified when they can pick up the keys from the real estate office and start paying off that mortgage! You’ve scrimped and saved for years for a house deposit. Now you’re thinking of taking the plunge into homeownership it’s important to understand the process the potential pitfalls and the hidden costs and fees lurking along the way. Following the process outlined above will keep on the right track to enjoy your new home.